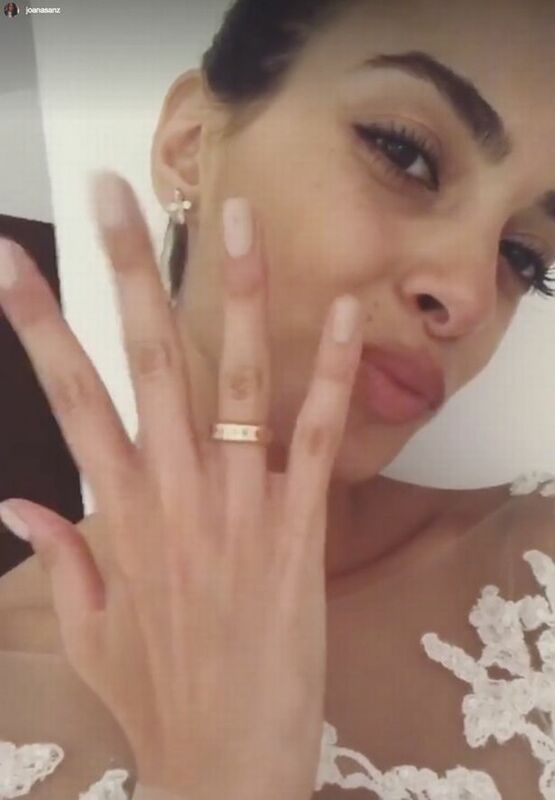 Dani Alves has tied the knot with model Joana Sanz in a secret Ibiza wedding. 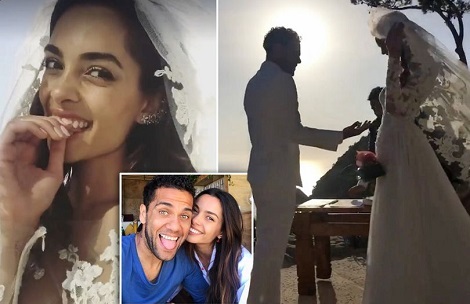 Brazilian Alves took time out closing his move to Manchester City by getting married to his long-term girlfriend. Alves braved an all white suit complete with light shoes to channel his inner Liverpool. Spaniard Joana looked glamorous in a lacy topped see through full length dress. The 23-year-old later proudly showed off her gold banded ring to her 346,000 Instagram followers, with only close friends and family invited to the event.